This month at Pasture Living, I'm sharing what I learned during my Israel trip and why I think this series is very relevant to healthy living. I believe being physically healthy is important, but being mentally, psychologically, and spiritually healthy is also extremely important for a fulfilling and joyful life. If you missed any of this series, click here. 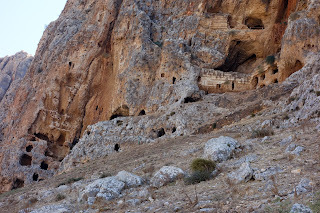 Mount Arbel: This high mountain overlooking the Sea of Galilee affords one of the most breath-taking view of the sea and the surrounding territory. 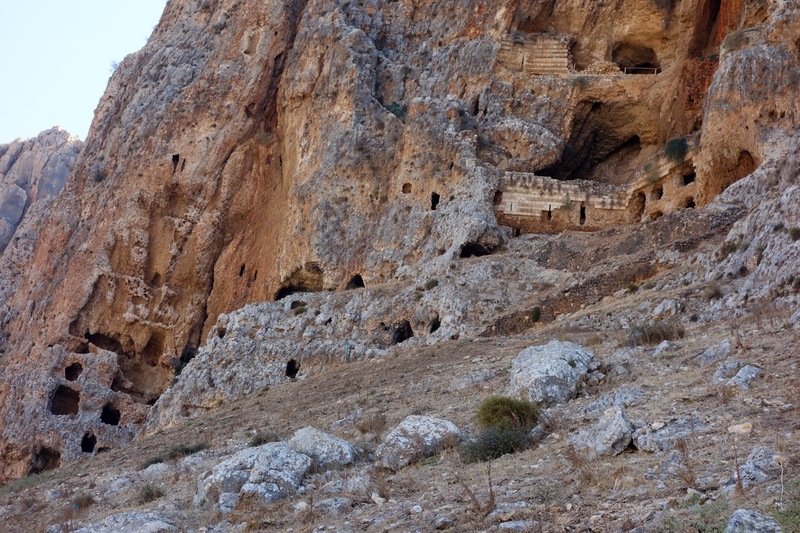 It is also the site of Herod the Great’s killing of the Galilean zealots hidden in the caves. We were up on Mount Arbel learning about discipleship and the importance of having a community, followed by a hike down the mountain. The hike was hard. It was long and steep and a fatal fall could happen if we didn't follow our leader's instruction, if we didn't help each other, and if we didn't focus. 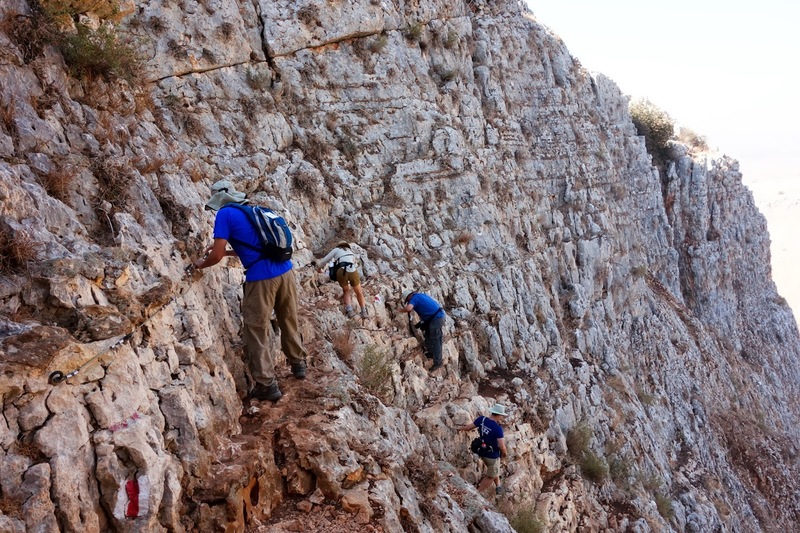 Some of us were afraid of heights, others were less experienced in hiking such steep slopes. But with the help and encouragement of our friends, by working together as a community, and following close to our leader and his instructions, we all made it safely. And even though it was long and steep, it didn't seem that long and steep because we were together. That was when it hit me. If I was just by myself, I don't think I could have done it. I was reminded the importance of following our leader and his instructions closely and having a community of friends to encourage us, comfort us, push us forward, and help us when we need it. Being a disciple of Jesus and following Him involves obeying His commands and it takes efforts and hard work. It's about taking up our cross and oftentimes there is no place to lay down our head. It's like hiking a mountain. We have to start at the valley and hike up. It can be long, steep, hot, and seem impossible. But when we follow close to Him, obey His commands, and with the help and support of our community, we will get there. Together. It is not about the destination, it's all about the journey. It is when we face challenges, trials, and sufferings that we pray more, grow closer to God, and learn to give thanks to God for His faithfulness through it all. It is those times when we can say that we are weak but He is strong. Imagine being Jesus's disciples and having to follow Jesus everywhere, walking with sandals on rocky, sandy paths, hiking up and down the mountains under the baking sun. It is not easy but large crowds followed Him to listen to His teachings. Imagine the amount of efforts they have to do in order to be with Jesus. It is a rebuke to me that we too should desire to learn the Bible and find time to do and then apply it. I have a desire to live as healthily as I can and sometimes it means saying no to junk food, even when I feel like it or I see others do it. And people often ask me what do I eat or cook if I can't use this or that, and the truth is so far I'm happy to use herbs, spices, sea salt, soy sauce, miso, seaweed, and other natural seasonings in my food. I learn new ways to make my food richer and more nutritious naturally (for example, making bone broth). I'm happy I get to learn something new, something better, and something I would not have explored had I not make a choice to live healthily. It's not always easy but I'm thankful for technology because there are tons of healthy recipes online and health blogs I can follow for inspirations and encouragements to keep me on my toes on the reasons why I am doing this. Learn about the amazing health benefits of fermented cod liver oil. Now you can buy many natural products for a lower price! Where to Buy Cold-Pressed Extra Virgin Coconut Oil in Singapore? © 2013 Pasture Living. All rights reserved. Simple theme. Powered by Blogger.